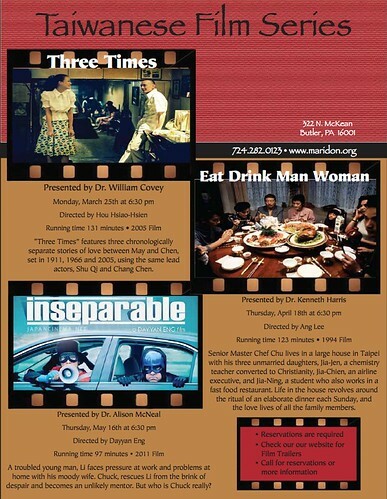 PennsylvAsia: Taiwanese Film Series begins with Three Times (最好的時光), March 25. Taiwanese Film Series begins with Three Times (最好的時光), March 25.
features three chronologically separate stories of love between May and Chen, set in 1911, 1966 and 2005, using the same lead actors, Shu Qi and Chang Chen. The show starts at 6:30 and is presented by Dr. William Covey of Slippery Rock University. 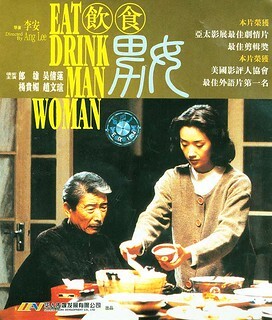 Li’s boss is corrupt, his wife, Pang (an investigative television reporter played by Gong Beibi), is always away, and he is recovering from a past trauma. But just as Li is about to hang himself from his living room ceiling, he is interrupted by his brash American neighbor Chuck (Kevin Spacey). Together, they head out into the city in homemade superhero outfits to right the wrongs in a country suffering from widespread fraud and corruption, a vast wealth gap and a frustrated, angry populace. The wise-cracking expat Chuck proves to be both Li’s savior and nemesis. The Maridon is an Asian art museum at 322 N. McKean St. in downtown Butler (map) that presents Asian films from particular countries as part of its spring and fall series. Last year it was China and Vietnam.